From beginner to expert, piste to freeride, skiing for pleasure or for competition, our rental selection will cover all your needs whatever your speciality. We will advise you on your choice of equipment, but you make the final decision. The equipment available is in perfect condition (we check it after each rental) and bindings can be adjusted with care and attention to meet your specific needs. 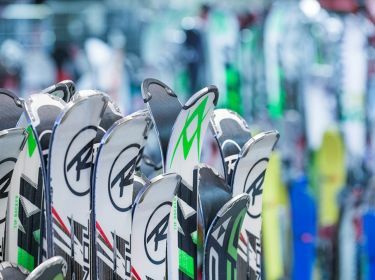 All our Skis and snowboards are serviced (waxed and sharpened) before every new rental, and all the boots are dried and disinfected between clients. For ski touring you can choose between some of our ultra light skis for large ascents or maximise the downhill pleasure with regular freeride skis- it depends on your taste and the conditions! Because we care about your ski holiday, we offer you the possibility to change equipment without charge at any point during your stay. 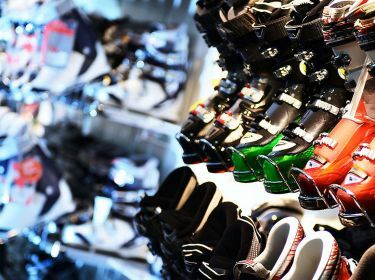 For example, swapping your skis for a snowboard or exchanging your boots for a more comfortable pair. The choice is yours. To save you time and money you can book online. Your equipment will be ready upon arrival and you can make savings even if you book just one day before you arrive. And to make it even easier to beat the crowds, we can deliver your skis directly to your home at breakfast time!